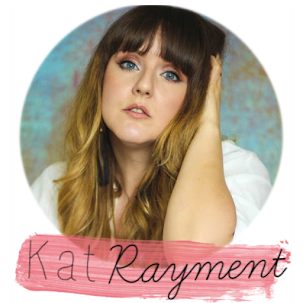 So how is your Christmas shopping going everyone? 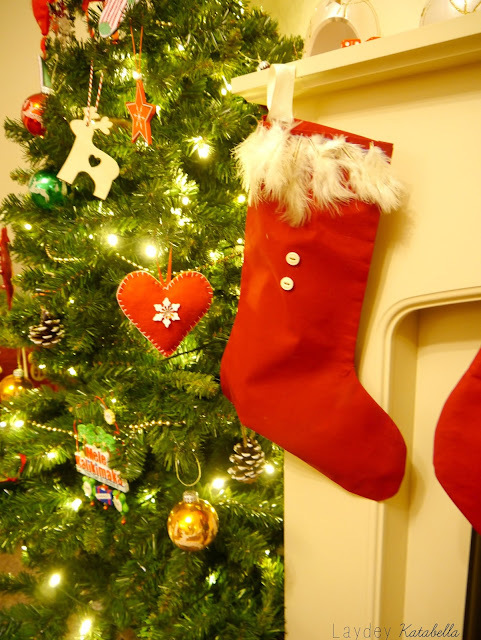 I'm all finished and even wrapped everything apart from the present due to go in Christmas stockings, so with that in mind, I thought I'd show you just how easy it is to make your very own Christmas stockings! 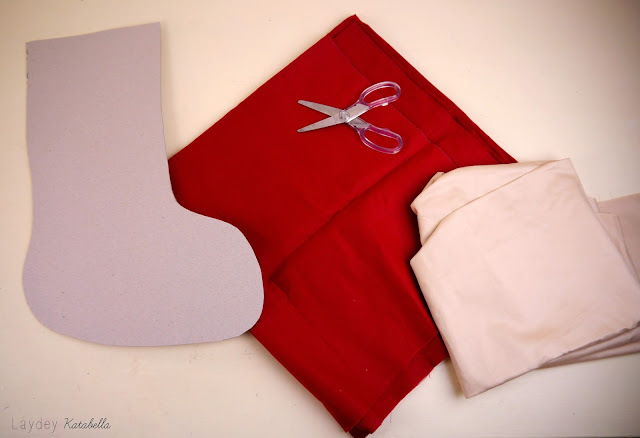 Step 1: Create a stocking template on card (I found a template on google) and draw twice onto your fabric before cutting out. 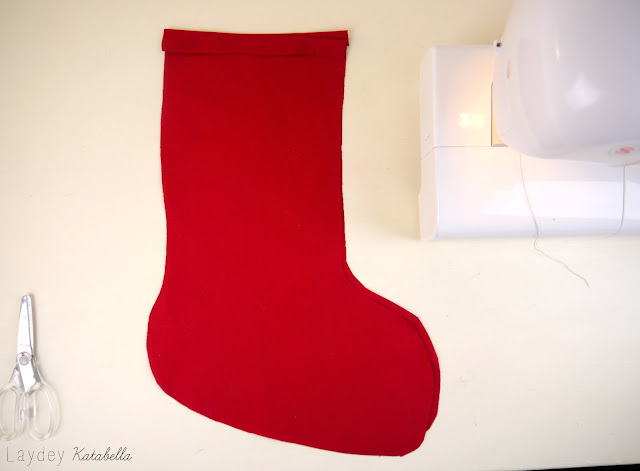 Step 2: Iron your cut out stockings and press your raw edges on the top of the stocking. 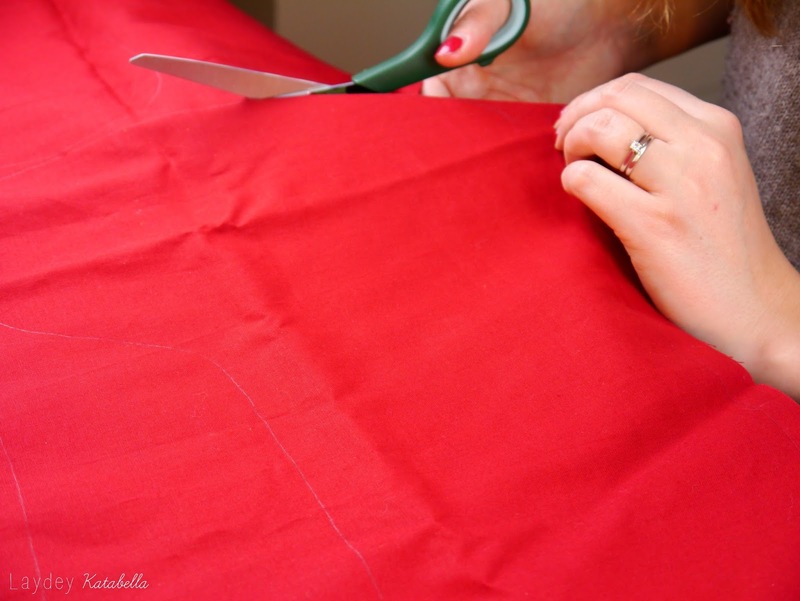 Step 3: With your front and back pieces facing one another, stitch a ½” seam down the side, heel, toes and back up again. 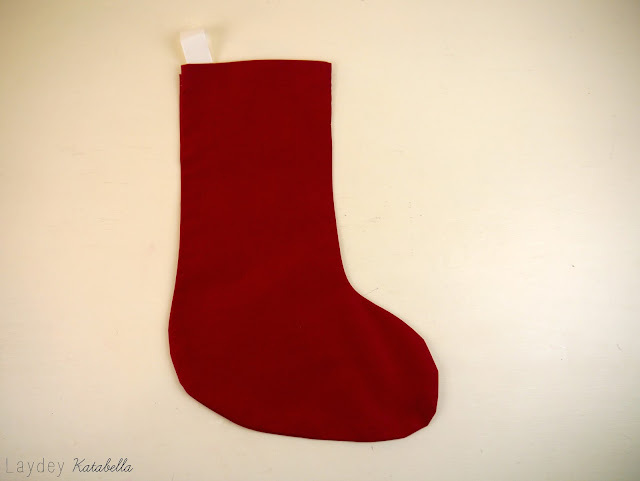 Step 4: Turn the stocking right side out and ease out the heel and the toe areas. 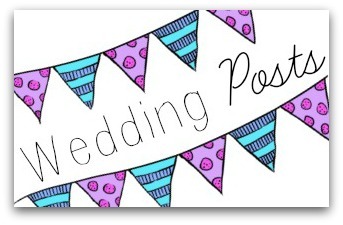 Step 5: Fold your ribbon in half and stitch in place at the top of you stocking. 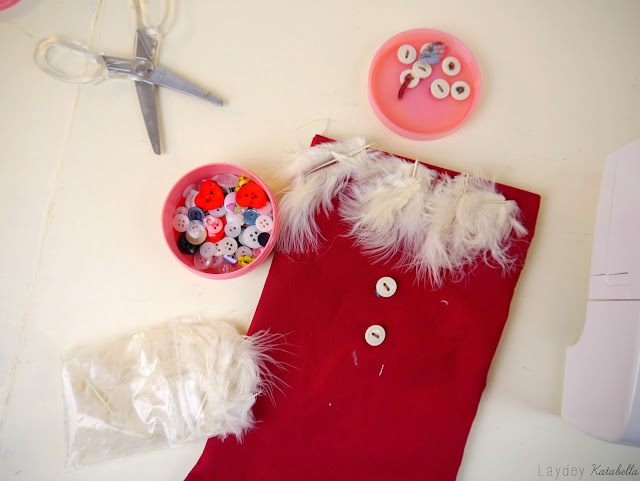 Step 6: Next press your stocking one more before adding embellishments. 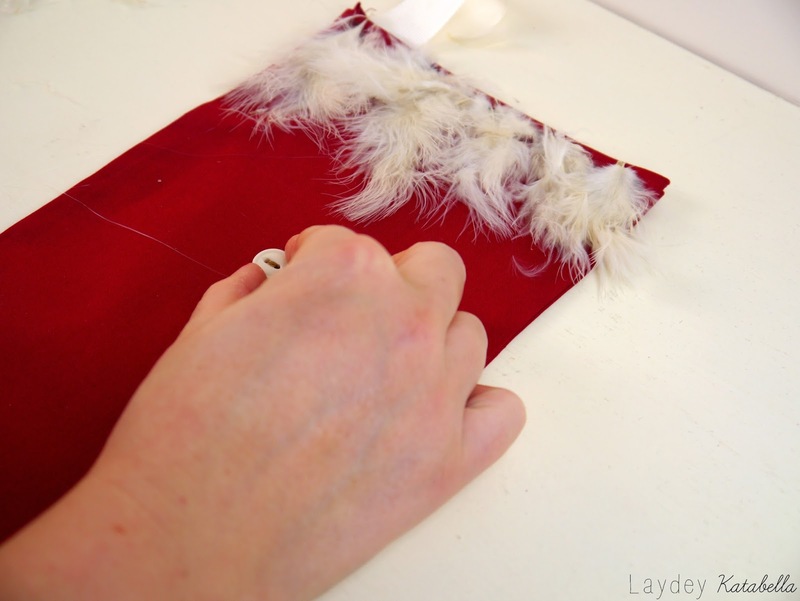 I went for feathers and buttons for a simple rustic look and attached them with a hot glue gun. 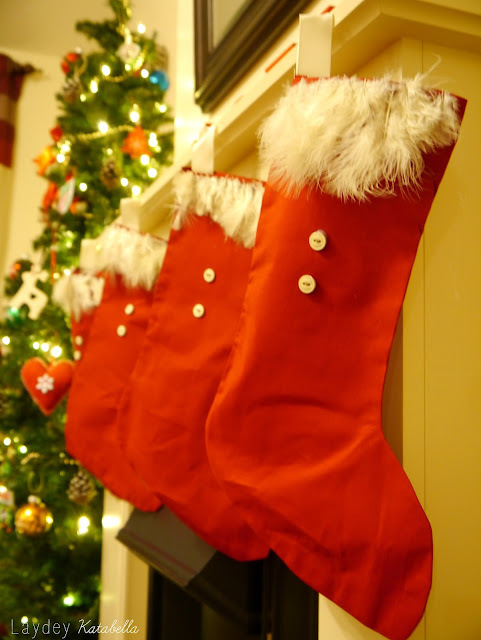 Step 7: Finally hang your stocking and it's ready to fill! 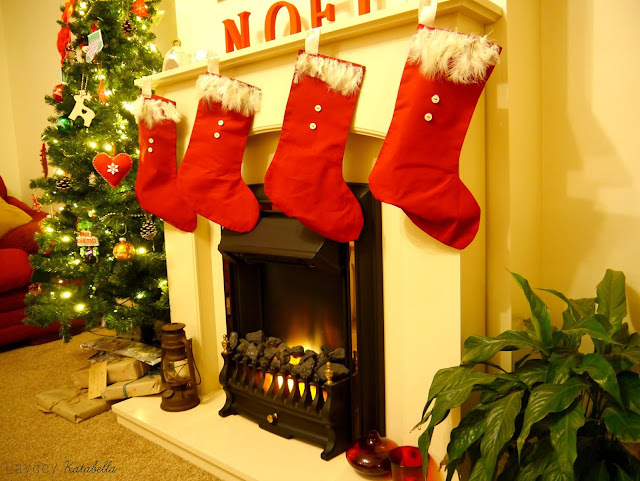 Stockings really are super easy and a great way to add handmade into your festive home. As you can see I made four- one for me, one for Chris and one each for the pets... Yup! I'm that person! So that's my 8th craft out of my 12 Crafts of Christmas. 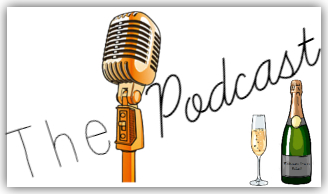 I hope you enjoyed! 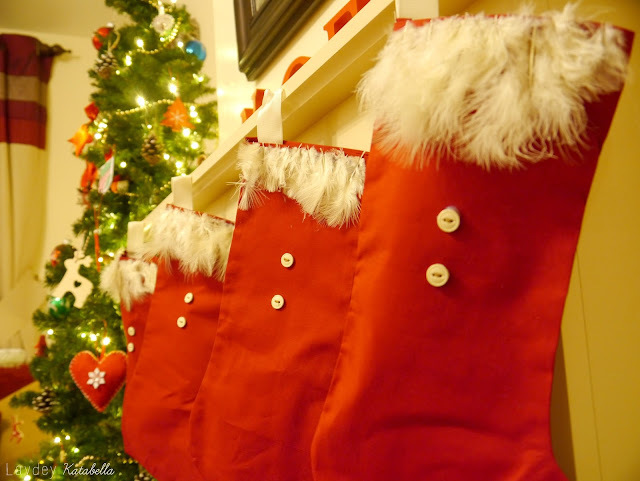 How are you decorating your home made stockings this year?